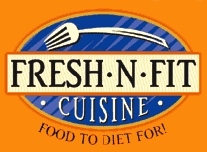 Fresh ‘n Fit Cuisine was started in 2006 by Sarah Burmeister and Chris Gyoury who were long time TV producers that had several popular cooking shows to their credit as well as previous experience working with a similar diet food delivery company before they decided to branch off on their own. Teamed up with an award winning chef and registered dietitians, Fresh ‘n Fit seeks to provide consumers with low calorie meals that are also approved by the American Heart Association, the American Diabetic Association and The American Cancer Society. Their goal is to not only help dieters to lose weight but to also help them lead healthier lives. This diet food delivery company operates on a six week food cycle and dieters will never have the same meal twice during the six week period. They also take advantage of seasonally fresh fruits and vegetables and tailor cooking to reflect the time of year. Fresh ‘n Fit offers dieters either a 1200 or 2000 Calories a day plan as well as the option of having meals 7, 5, 4, or three days out of the week. They have many pick up locations around the Atlanta and North Georgia area or you may opt to have your food delivered overnight to Tennessee, North Carolina, South Carolina, Georgia, Florida, or Alabama. “There are absolutely no words to describe the difference this company has made in our life. Besides the ultimate convenience of it all (no more shopping/cooking/cleaning/throwing away leftovers because I can’t just cook for two), I can’t even begin to tell you how DELICIOUS everything is! Whole wheat pancakes, served with turkey sausage links and a homemade strawberry sauce. Chickpea salad flavored with lemon, coriander, olive oil and feta, served over arugula with wheat pita bread. A traditional style crepe “alla Fiorentina” chicken and spinach rolled inside a crepe, topped with a creamy mornay sauce. Served with a couscous pilaf. Fresh ‘n Fit Cuisine doesn’t include exercise recommendations. Fresh ‘n Fit is operated by independent distributors who set the prices of the service so program costs can vary somewhat among distributors. In general you can expect to pay between $74.00 for the 3 day 1200 Calorie plan to $143.00 for the 7 day 1200 Calorie Plan. A 2000 Calorie Plan would roughly cost between $86.75 for the 3 day option and $173.50 for the 7 day option. For customers outside the pick up area there is a $30.00 UPS overnight delivery charge on orders. Meals include fresh fruits and vegetables. Meals adhere to National health standards. Meals can be picked up or delivered. Many have had weight loss success using Fresh ‘n Fit. Excellent for dieters who can’t make healthy food choices. No snacks provided for in between meals. Doesn’t offer a vegetarian plan. Fresh ‘n Fit Cuisine doesn’t encourage dieters to exercise. Fresh ‘n Fit diet home delivery service is a great option for dieters that have trouble making healthy food choices or those that have trouble determining portion size. This program would also be perfect for busy dieters that don’t have time to prepare healthy, calorie controlled meals because of their work schedule. Fresh ‘n Fit could improve their service by providing a few more options such as one for vegetarians and by providing some exercise recommendations so that their customers could develop a more holistic approach to weight loss. Overall, Fresh ‘n Fit would be a good option for dieters living in the Southeastern, USA who are looking for a healthy diet food home delivery program.